When the last golden rays of summer fade and the leaves gently fly in the wind, you know fall is here. This beautiful Autumn All Occasion Collection is loaded with lovely fall foliage with gold accents. Share the season of wonder and add a warm, personal touch for all of life’s occasions. 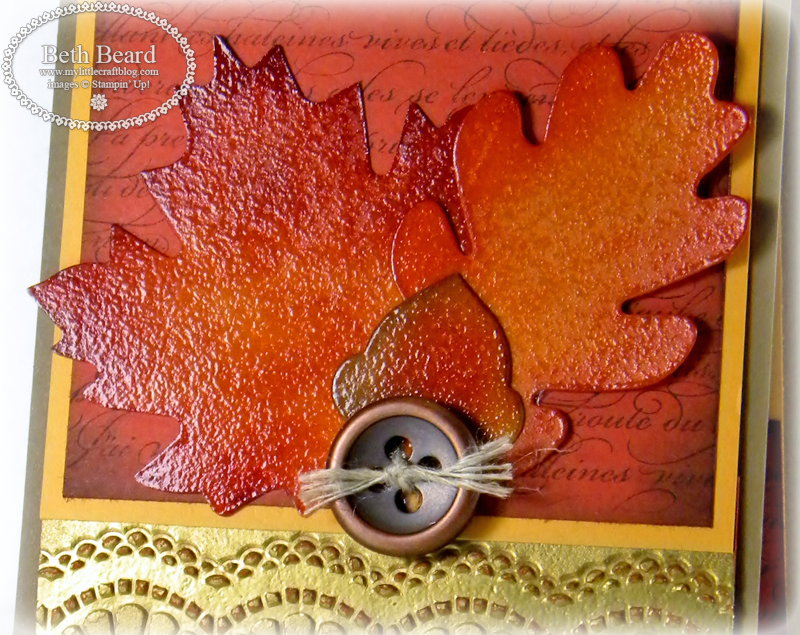 · Featured Products: En Français stamp, Autumn Accents Bigz Die, Brushed Bronze Designer Buttons and Delicate Designs Embossing Folder. You will receive a PDF copy of step by step instructions, supply list, color photos, and you will receive access to watch the videos for each project. There's no time limit, you will have unlimited access to the videos. Super spooky card! Fall leaves are wonderful, too. Thanks for sharing! 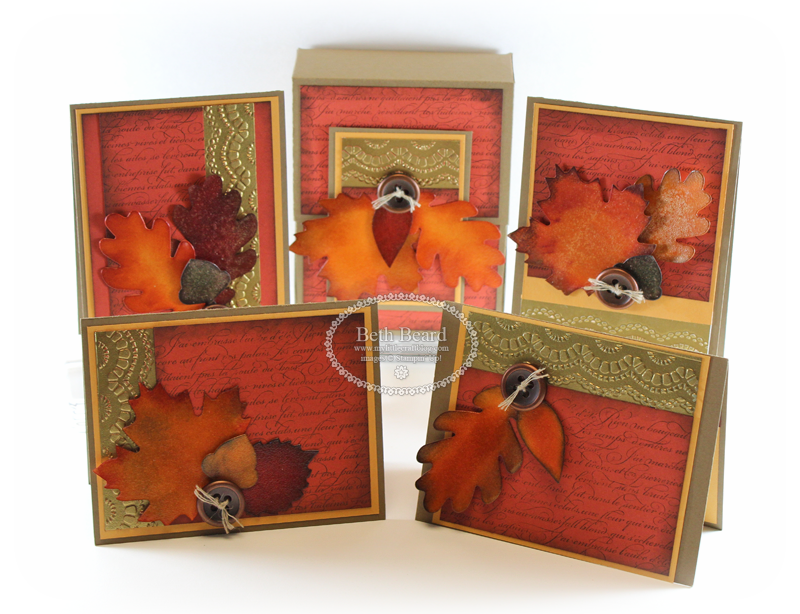 Stunning fall cards. Absolutely beautiful! 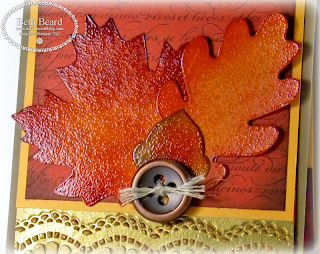 THe cards are really falltastic! The colors are great, love the gold!